I threw aside boxes of miscellaneous odds and ends. I was on a mission and I could not do anything else until I succeeded. I know that I had seen it recently, but where was it? Did I move it in anticipation, or was it still buried in some old box of books here in the back room? Shoving aside one final box, I caught a glimpse of what I had been looking for. Pulling it from beneath a slew of other novella, I held aloft my BradyGames’ Kingdom Hearts 2 strategy guide. Victory in hand, I leapt over the mess I had just created, leaving it in my wake to finally begin playing the remastered version of a game I had adored nearly a decade ago. I’ll say the exact same thing that I said when I reviewed the first HD collection of Kingdom Hearts games. If you are a fan, what are you waiting for? Get this game right now. More than likely, you’ve never experienced the previously Japan-exclusive Final Mix versions of these games, and the added content is such that even longtime fans will find new and interesting things to enjoy. That guide that I pulled out for Kingdom Hearts 2? There were a number of things it didn’t cover, and I was actually overjoyed each time I would flip to the next page only to find that the particular boss or collectible was not covered. The seemingly convoluted story began to make a lot more sense to me, as added scenes do a ton for the clarity of what is going on, in addition to just being older and more able to understand the grand scheme of things. 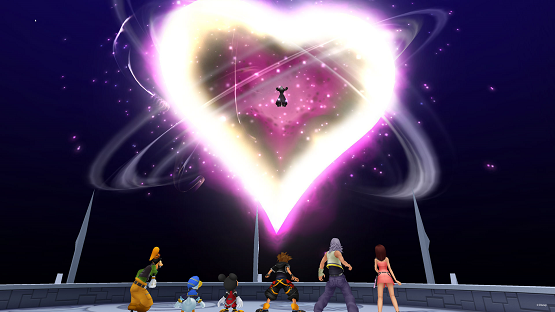 For these reasons alone, any Kingdom Hearts fan owes it to themselves to pick this up. What was going back to play Kingdom Hearts 2 like? Heath talked about his own experience with it a bit, and I largely mirror his sentiments — that first three hours of the game as Roxas in Twilight Town is agonizing to get through, but when the game opens up, you get 30+ hours of story content alone, and that doesn’t include leveling up, secret bosses, or metric tons of mini games and collectibles. The HD remaster looks great in many worlds that require detail, but some environments (such as that Twilight Town map I mentioned) are just bland and empty feeling. I guess you can’t really give the HD treatment to flat, blank surfaces and assets that aren’t already there, but the contrast was apparent as I went from areas like the huge empty palace in the Land of Dragons, to the interesting and detailed worlds of Port Royal or the final area of the game. For regular PSLS readers, you are getting the rare opportunity to see a game reviewed by two different people, as Heath did a review of the full import version of the game here. I am from a mixed view however, because although I played Kingdom Hearts 2 on the PS2, I missed Birth by Sleep entirely when it first released in 2010. I had long since sold my PSP years before to help cover my rent check, and didn’t get a chance to play what may now be my favorite game in the series due to a plot that sets the stage for everything to come and gameplay that felt like it exceeded it’s console counterparts in strategy and depth. Heath already did an excellent overview of Birth by Sleep itself, so I won’t go into too many details there, but I will say that the game stands the test of time. Ok, so four or five years may not technically be that long, but in video game years, that’s practically an entire console generation. I never remembered my little PlayStation Portable looking so good! For the Kingdom Hearts series, Birth by Sleep is a very important stepping stone in both gameplay and plot. It still baffles me that so many crucial aspects of the Kingdom Hearts story were spread across a multitude of consoles, so it’s nice to finally have this puzzle piece in place. 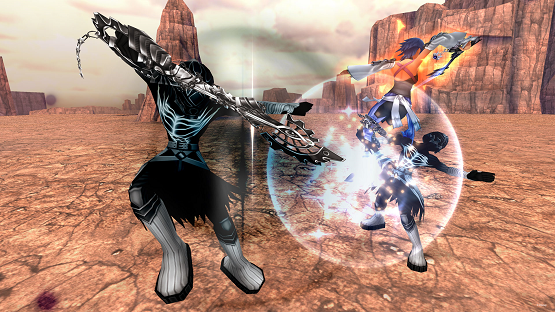 Gameplay in Birth by Sleep fascinated me, and like my infatuation with Chain of Memories in the first ReMIX, I found myself digging deeper into the system than I ever intended to in order to meld commands, create perfect battle decks, and discover all the secrets that the seemingly complicated battle system held. I didn’t already own a guide for this one. I didn’t have any preconceived notions from having played it before. I didn’t know what it had looked like on PSP. And despite all of this, I was still pleasantly impressed by it. Approaching Birth by Sleep Final Mix HD as a first time player, I have to give it my very firm seal of approval. I hate to end on a sour note, but apparently that’s what Square Enix wanted to do. 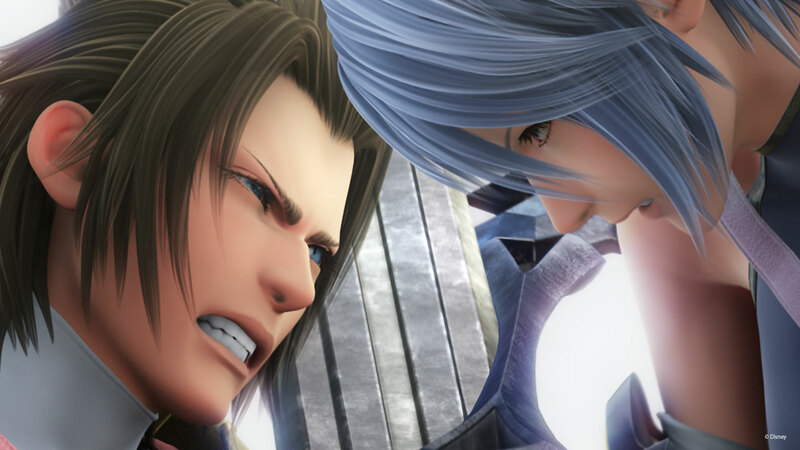 The final piece of the HD 2.5 ReMIX package is the story cutscenes from Re:coded, and man, are they a drag — especially after playing the excellent Kingdom Hearts 2 Final Mix and Birth by Sleep Final Mix, Re:coded is very possibly the worst and most irrelevant title in the Kingdom Hearts series, and this is further proven by the fact that they can whittle it down to the cutscenes to get you the bare bones version of the little relevant info that it does have to move the entire story forward. The very end of Re:coded actually leads into the seventh game of the series, which, despite being very important to the story, is still not available on PlayStation platforms: Kingdom Hearts 3D: Dream Drop Distance. Perhaps there are some deals with Nintendo that won’t allow for a re-release of that game on a PS system, but it feels like a glaring omission, as it is the only one of the seven games currently out that does not have a release on the PS3. Putting aside my harsh feelings for the inclusion of scenes from Re:coded while leaving Dream Drop Distance completely out of the picture, Kingdom Hearts HD 2.5 ReMIX is money well spent to fans of the series. If you haven’t played the first collection, you’ll find yourself adrift, lost in a plot that confuses even some of the most die hard fans. However, if you’ve already been out with Sora and friends, it’s worth giving your PS4 a rest and using that PS3 to get 60+ hours of Kingdom Hearts back into your life, even if it does feel a little last gen.
Kingdom Hearts HD 2.5 ReMIX review copy provided by publisher. For information on scoring, please read our Review Policy here.